Leading Manufacturer of classifier fine cleaner, fine cleaning equipment, spices seeds fine cleaner, pre cleaner and fine cleaner from New Delhi. Classifier Fine Cleaner is used for a wide range of applications such as removing large impurities like stick, buck and leaves and are also used for removing fine dirt and sand from products in seed cleaning plants and seed processing plants. They incorporate two vibrating screens where the top screen performs the function of removing oversize material and the bottom screen removes fine dirt and sand. 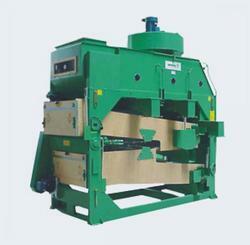 There are vibratory motors that are mounted in the center for vibration of the deck containing the screens. There are four hollow rubber springs on which the vibrating deck is mounted. 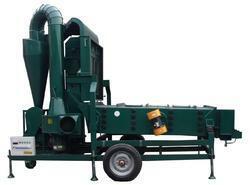 This ensures that the vibration of the machine frame are reduced to a minimum. A swing down type door is also provided to ease change or cleaning of screens. Easily accessible screens for cleaning and changing. Easily adjustable deck inclination, stroke and angle of throw. Smooth performance because of vibratory motors. Hollow rubber springs for minimum main frame vibration. Fine Cleaning Equipment is used for a wide range of applications such as removing large impurities like stick, buck and leaves and are also used for removing fine dirt and sand from products in seed cleaning plants and seed processing plants. Spices Seeds Fine Cleaner is used for a wide range of applications such as removing large impurities like stick, buck and leaves and are also used for removing fine dirt and sand from products in seed cleaning plants and seed processing plants. Fine Cleaner is used for a wide range of applications such as removing large impurities like stick, buck and leaves and are also used for removing fine dirt and sand from products in seed cleaning plants and seed processing plants. 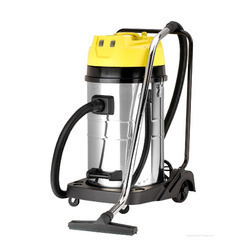 Looking for Fine Cleaning Equipment ?